Price include international flight fair. 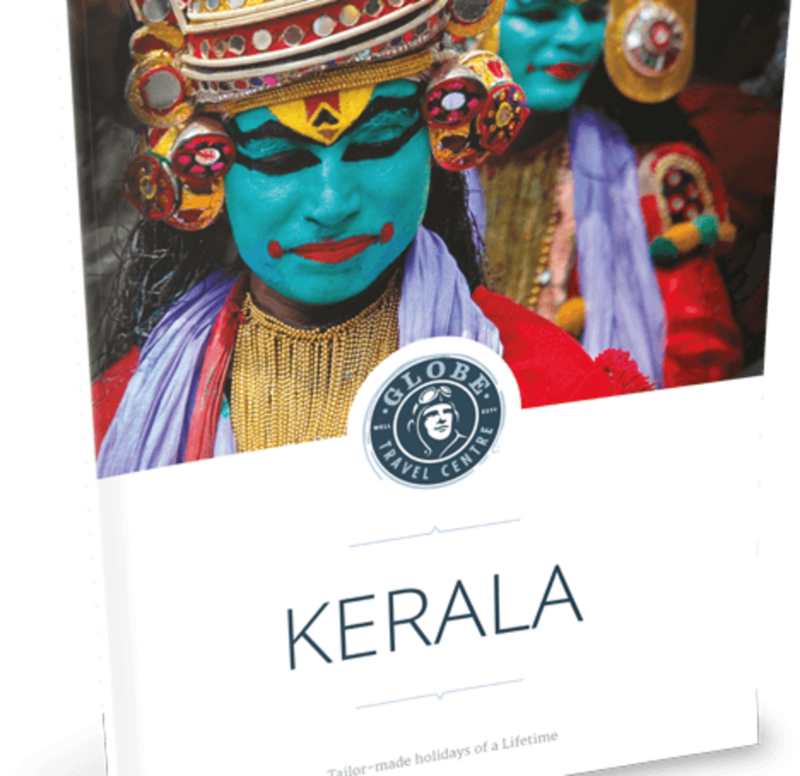 You will be greeted at the International airport with a traditional welcome by the Globe Travel Centre representative and escorted to the hotel in Cochin. 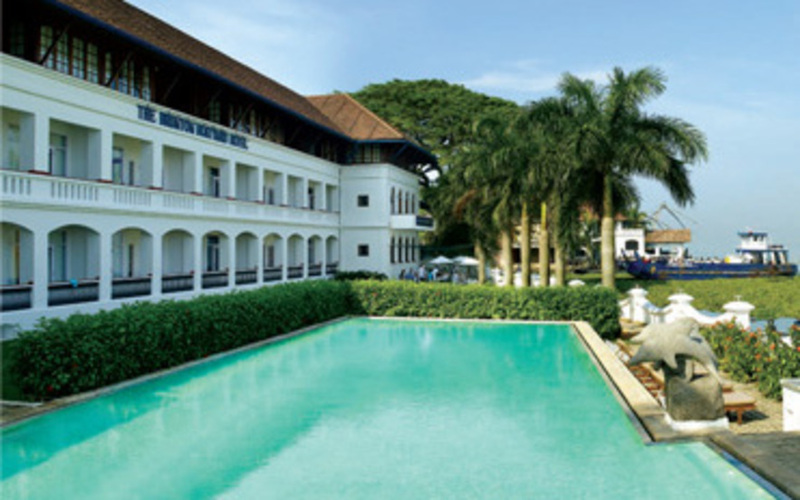 The place is broadly divided into two areas- Ernakulam which is a bustling cosmopolitan metropolis and Fort Cochin which is the cultural hub where the hotel is located. Relax and unwind at the hotel on your first day in India. Overnight at the Xandari harbour. Enjoy a half day sightseeing tour of Cochin (accompanied by an English speaking guide) today which will include - Jew Town, St. Francis Church which is the oldest European Church in India, the Santa Cruz Basilica built in 1557 by the Portuguese, the Spice market and the 15th century Chinese fishing nets believed to have been brought by Chinese traders. In the evening you will be taken to a Kathakali Centre to witness a ‘Kathakali’ dance performance. ‘Kathakali’ literally means a ‘story-play’ and is a highly dramatic dance form which depicts the moral values of god and man. The characters wear elaborate make up and heavy ornaments and the performances are enthralling to watch. After breakfast drive to Periyar an area known for its undulating hills, spice plantations, and elephant sightings. One of the 27 tiger reserves in India, the Periyar valley in Thekkady is the oldest. Upon arrival check-in to your hotel. Spend the evening at leisure. Today morning, you can enjoy the boat ride in Periyar Lake. Periyar Lake was formed by the construction of the dam across the Mullaperiyar River in 1895. There is a good chance of seeing any of the inhabitants of the reserve on the lake; especially on the morning and late afternoon cruises where animals head for the lake to drink. Later proceed for a spice garden visit where you will be enticed by not only the aroma of spices like cinnamon, cardamom, pepper and nutmeg but will also get to know how they are grown, harvested and processed before they reach the supermarkets. Spend your evening at leisure. Overnight at the Spice Village. Drive to the backwater region of Alleppey to embark on your private houseboat and cruise on the Backwaters, a splendid area full of canals, lakes and coves. Your houseboats or ‘Kettuvalloms’ are converted rice barges with well-appointed bedrooms and ensuite bathrooms. Apart from the mesmerizing surroundings it is the life along the backwaters that adds a touch of exotica to this experience. The locals’ travel in canoes and you will find vegetable sellers, fishermen and other traders bringing household goods, door to door in small wooden boats. A small crew will be available at all times to assist you during the cruise. The crew includes the captain who mans the boat, a chef and a housekeeping staff member. The local food prepared by the chef on the houseboat is another delight not to miss. As you cruise along the backwaters you can ask your captain to stop at villages, paddy fields and other places, enroute. Whilst the houseboats can cruise along the fascinating backwater stretches, they cannot navigate some of the narrower canals which are equally mesmerising. Overnight on board. (Full Board) Note: As per government rule, the boat will be anchored from 06:00 pm to 07:30 am. Disembark from your houseboat at Pallathuruthy near Alleppey and drive to the picturesque fishermen’s village of Mararikulam and check into your resort. Tucked away inside quiet and lush coconut groves, this resort set by the pristine white-sand beaches of Marari offers you unparalleled quite in astoundingly beautiful settings. Day at leisure on the beach Or cycle along the coastal back roads of Mararikulam through the beautiful fishermen’s villages right up to the Arthumkal Church by the sea. Overnight at the Marari Beach Resorts. (On full boars basis).